Swindells Roofing - Serving the pitched roofing market for over 125 years. W. Swindells & Son (Roofing) Limited have been serving the pitched roofing market for over 125 years. 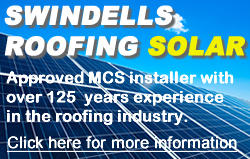 Swindells roofing was formed by William Swindells in 1885. Over the last 125 years, Swindells roofing have grown to a nationally recognised and respected roofing contractor who have built a reputation for high quality Workmanship together with a professional approach. Our company is a local family company specialising in slating, tiling and flat roofing for both new and refurbishment projects throughout the North West of England. We work for a significant number of Housing Association/groups, private developers, general contractors and industrialists. Our vehicle fleet is tailored to current requirements and includes crane assisted wagons which enable us to provide a first class delivery service along with high access support and skip vehicles for specialist requirements. Swindells roofing also sell materials to the public, local builders/ contractors through our roofing centre which is also located adjacent to our offices in St. Helens, Merseyside. Swindells Roofing is an independent supplier and installer of Solar Photovoltaic (PV) panels, slates and tiles, operating throughout the North West including; St Helens, Liverpool, Manchester, Wigan and Preston. As MCS accredited Solar PV installers and suppliers we have a portfolio of MCS certified products so we can design the ideal solar energy solution.